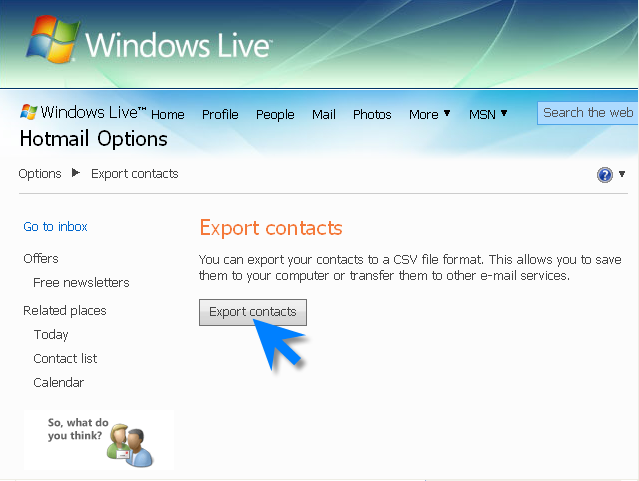 Before you send an email newsletter to the contacts stored in your Hotmail contact list, you need to export the contacts from your Hotmail account to a common CSV file and import them into your email marketing software. 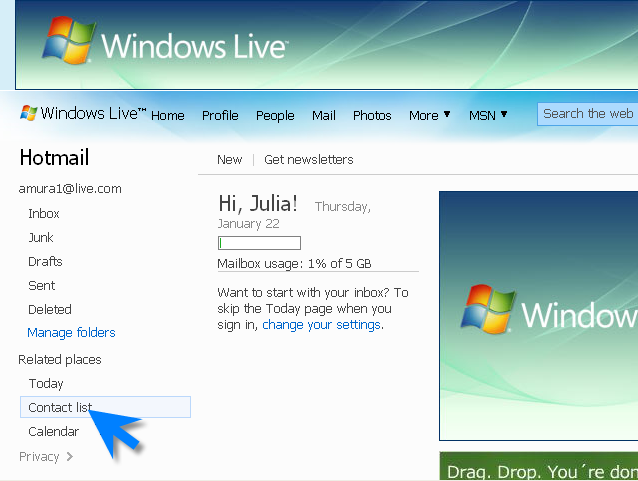 Click on the Contact List at the left side. 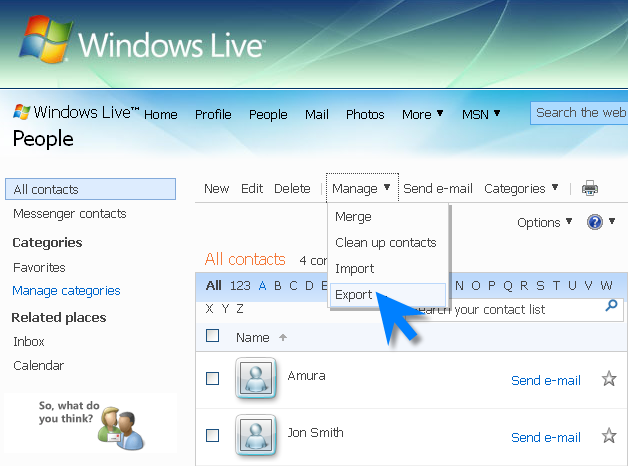 Click on Export contacts button. This will open a new window asking you either to open or save the file. When the contacts are exported, you can create a contact group directly from your file in EasyMail7 and start sending email newsletters to your Gmail contacts.